With the advent of these two innovations, the speed of communication surged by leaps and bounds. The first to make its mark was the telegraph in 1861 which enabled long distance communication for the first time albeit in written form. 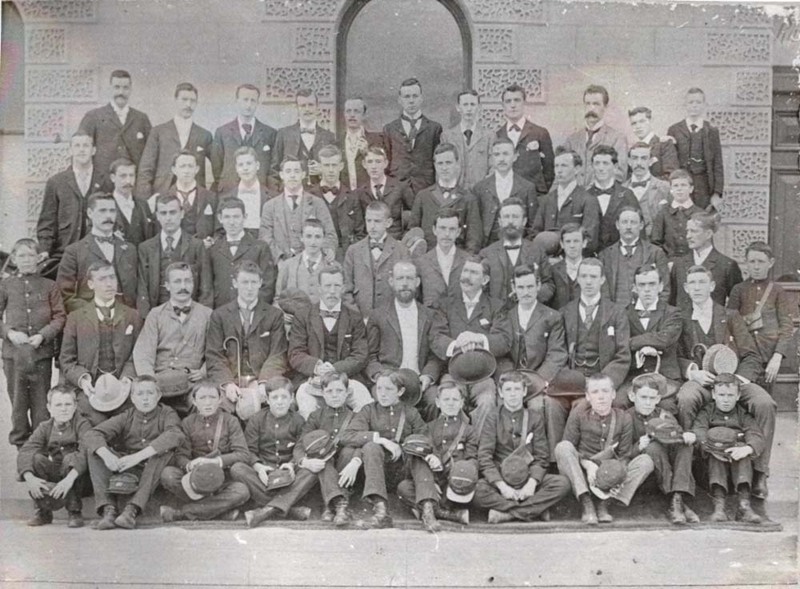 However, it was only in 1882 that the telephone was introduced to the residents of Port Elizabeth. 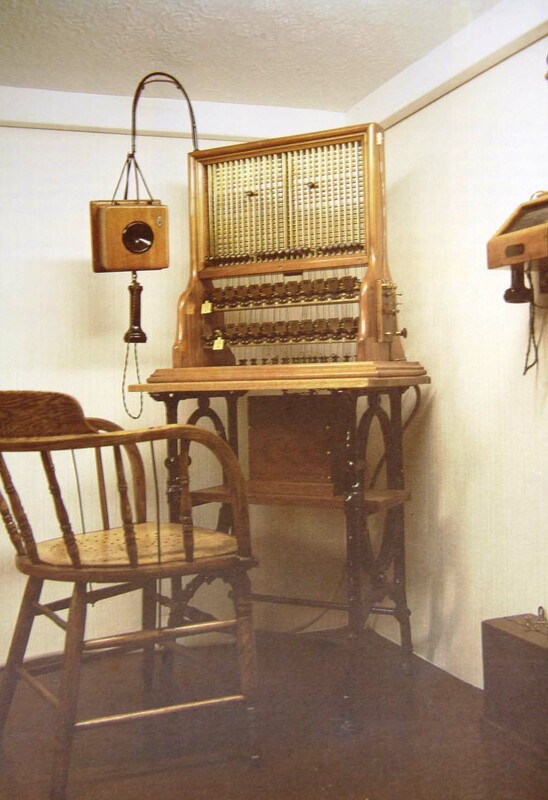 The first electric telegraph system in South Africa, operating between Cape Town and Simon’s Town, was introduced in 1860 and the telegraph system was used for a time signal in 1861. Electricity was publicly used in South Africa for the first time with the opening of the electric telegraph line between Cape Town and Simon’s Town on 25 April 1860. It was built for the benefit of shipping and commerce. The line itself was a single galvanised iron wire mounted on wood poles with porcelain insulators. The return circuit was via the ground. 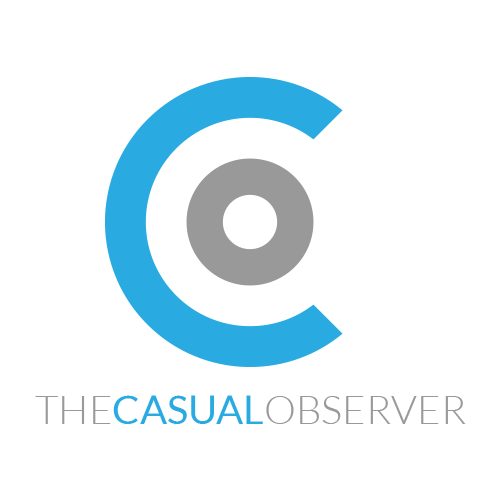 From September 1861 the Royal Observatory at Cape Town sent a daily impulse over the telegraph system to a time-ball, which was mounted on a mast in the vicinity of Table Bay. The impulse was sent at the instant of one o’clock and made the time-ball drop. Shipmasters used this as an accurate visual signal to check their chronometers. The impulse was also sent to the Naval Yard at Simon’s Town, and later to Port Elizabeth and East London when the telegraph line reached there. 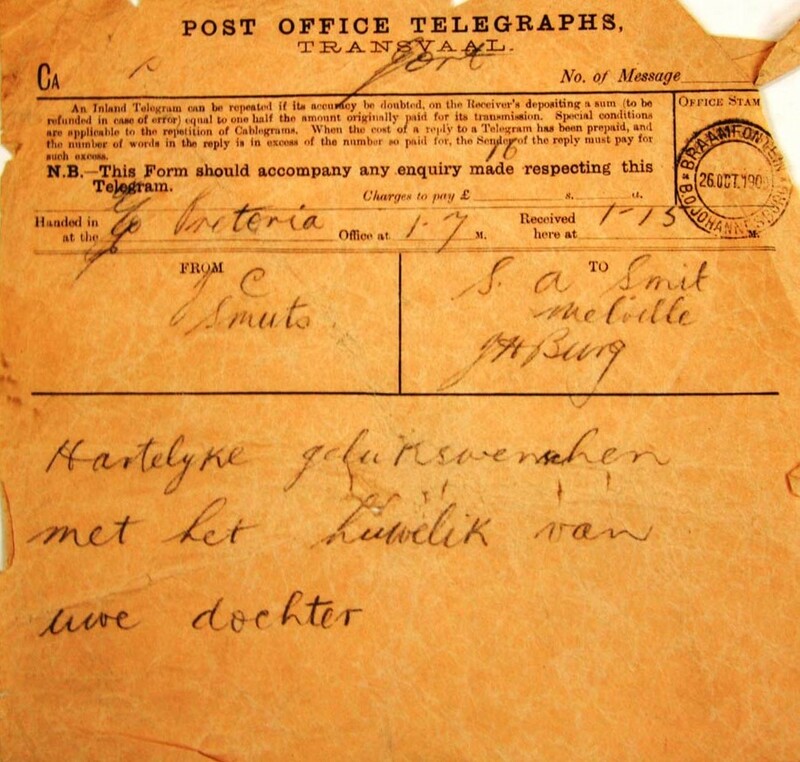 Port Elizabeth was not far behind Cape Town in using the telegraph. 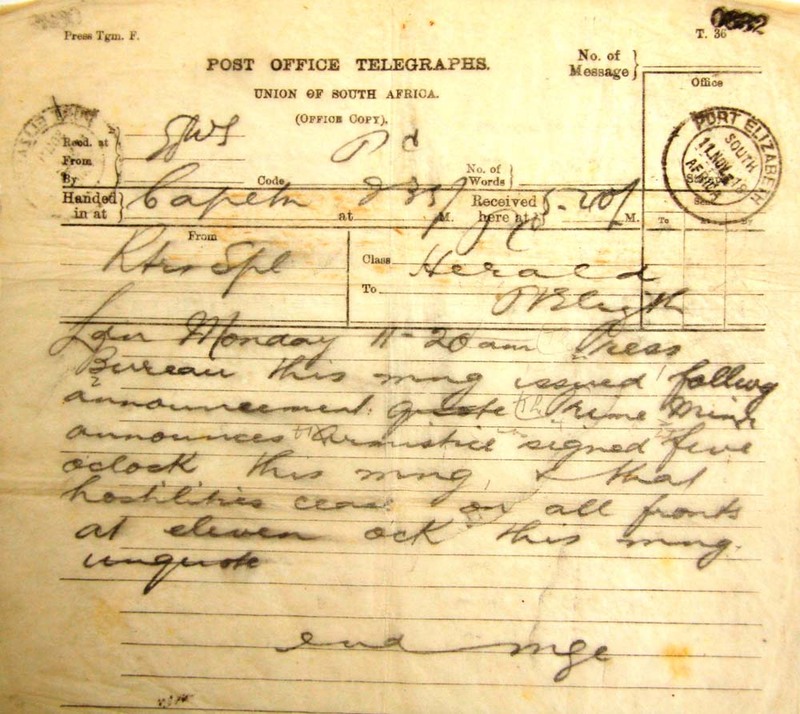 On the 31st December 1861, the telegraphic service between Port Elizabeth and Grahamstown was officially opened. The line was built by the Cape of Good Hope Telegraph Co. The entire line from Cape Town to Grahamstown was completed in 1863. 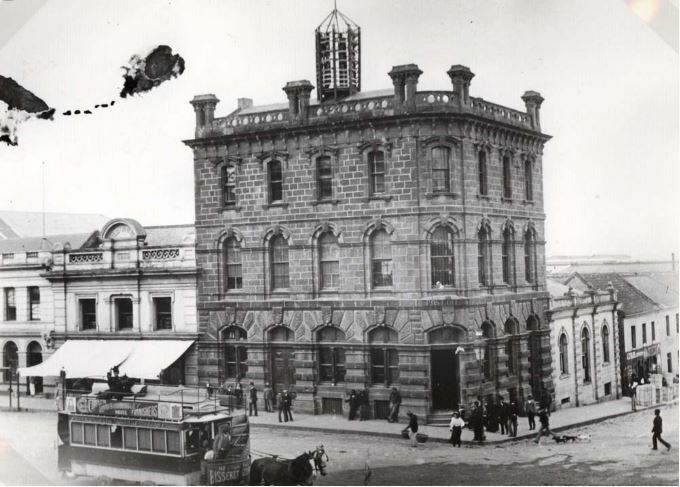 Port Elizabeth might have lost the tussle to be the first to introduce the telegraph albeit by a whisker, but by installing the first telephone exchange on 1st May 1882 in the Post Office building on the corner of Jetty and Main Streets. 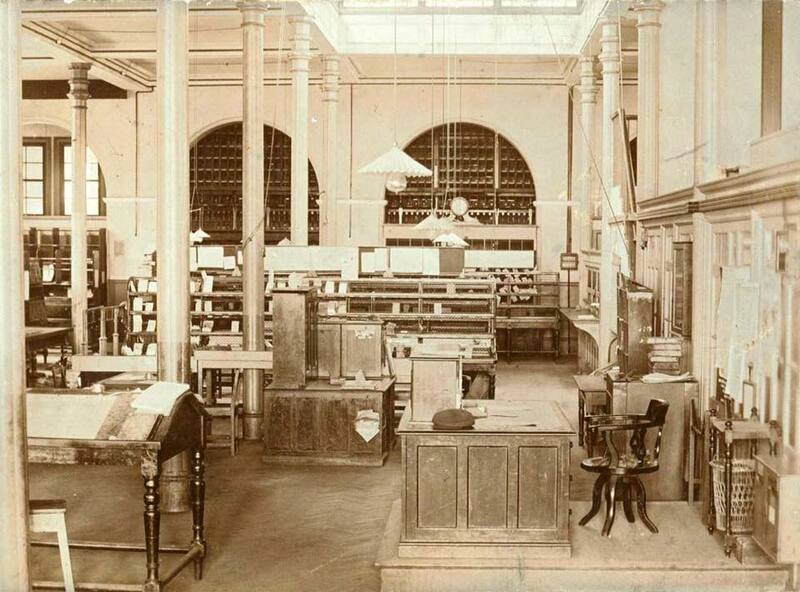 The superstructure required to operate the telephone system is visible on the roof in old photographs of the Post Office. 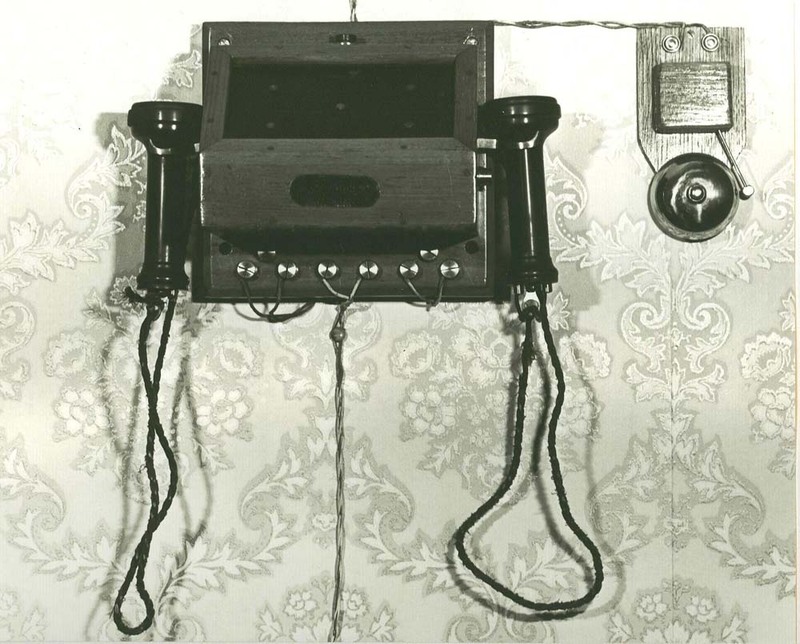 Initially there were only 44 subscribers using Gower Bell telephones. 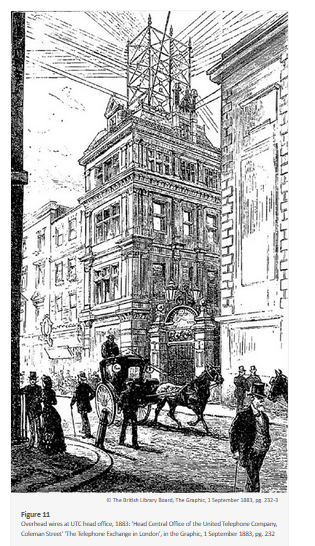 On 25th June 1900, the new Post Office building was opened in North Union Street. 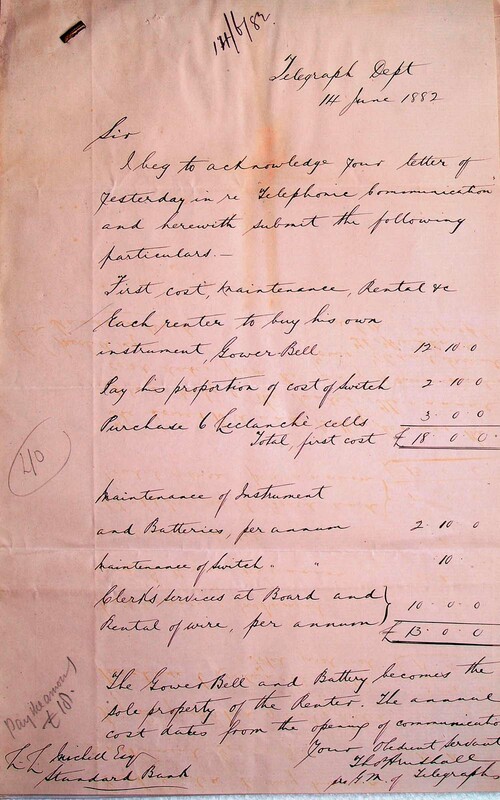 During February 1914, a 27-mile long telephone line incorporating Theescombe, Willowby, Kragga Kama, Goedemoedsfontein, Chelsea, De Stades River and Draaifontein was opened. 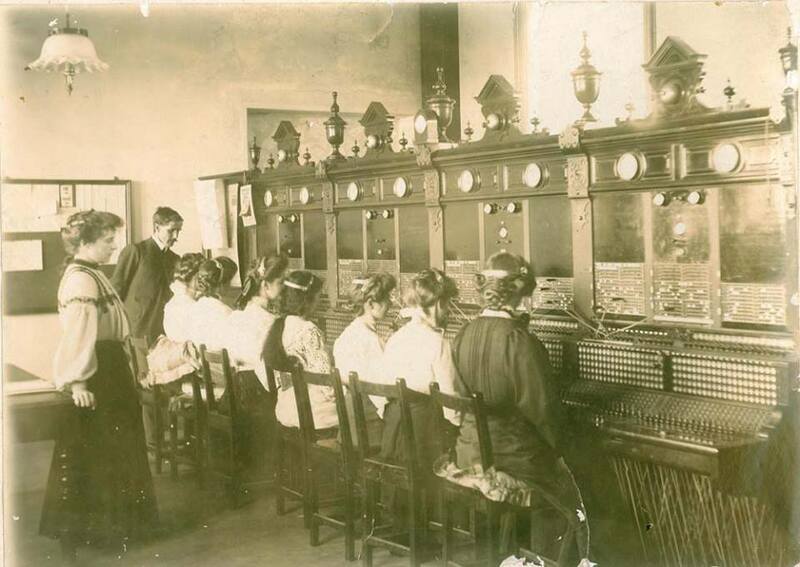 The telephone exchange adjoining the new Post Office was built in 1919/1920 and in 1922, the conversion from manual to an automatic exchange was commenced. Only by 31st January 1925, was this conversion completed. The function of the apparatus on the roof cannot be ascertained. My brother Blaine has made the following assumptions. It is too early for radio (some time post 1900) so it cannot be an antenna. Some shots show Main Street festooned with telephone cable, this is not evident here. So it must have been early on when there were few telephones. It was possible that the lines were strung directly from the structure to nearby users. The final possibility is that it was a battery! 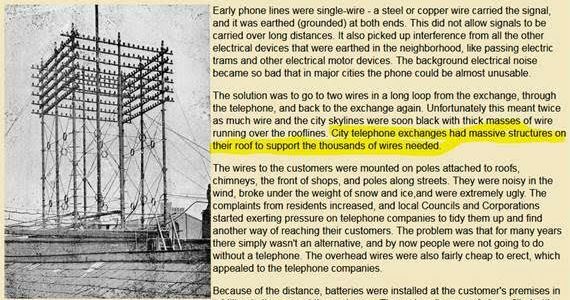 Telephones need electricity and, as far as I know, there was no power system then. Therefore no electricity could be provided to run the system or to recharge lead acid batteries. The possibility then is that it was a battery in which the cells were replaceable. To make a cell all you need are two galvanically dissimilar metals and an acidic electrolyte. This would give off noxious gases and hence was placed on the roof for ventilation. To recharge a cell, the electrolyte would have to be replaced and the plates checked.